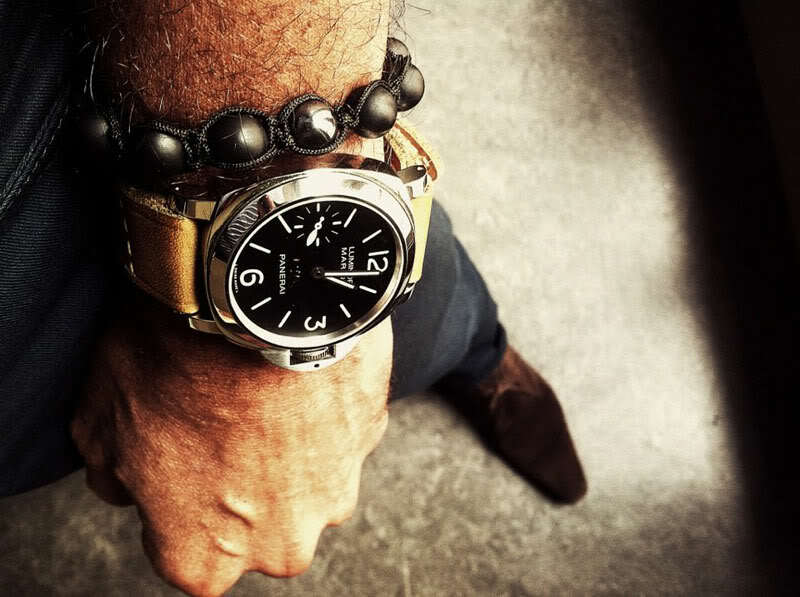 A Weekly Watch Photo that is perfect in every way. 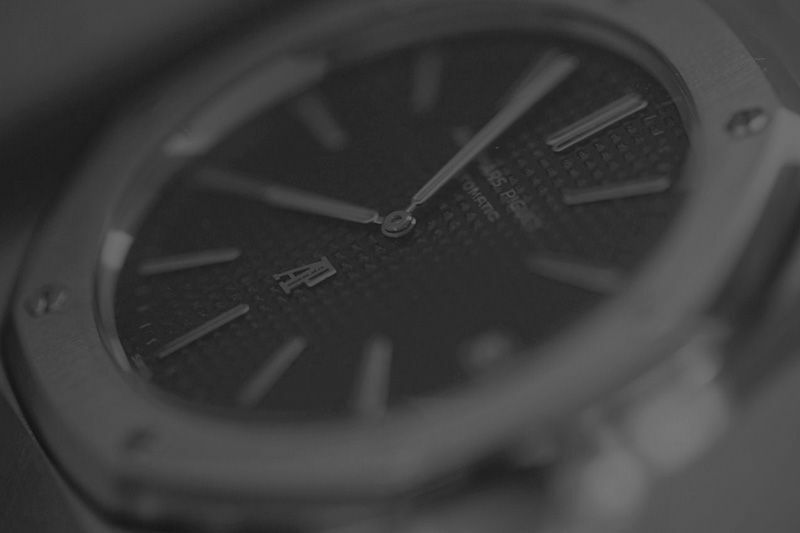 A beautiful watch, a beautiful photo, all in monochrome colors and at the right moment. Why? Well, Audemars Piguet just announced a special Royal Oak Jumbo to celebrate 10th anniversary of the Purists Pro watch forum. The photo below shows the ‘real deal’, the ‘real McCoy’, a watch that’s high on the wish-list of many watch collectors (including me). 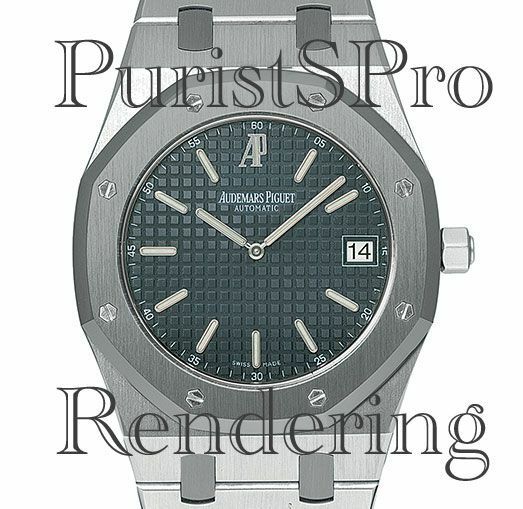 It is the Audemars Piguet Royal Oak Jumbo reference 5402. 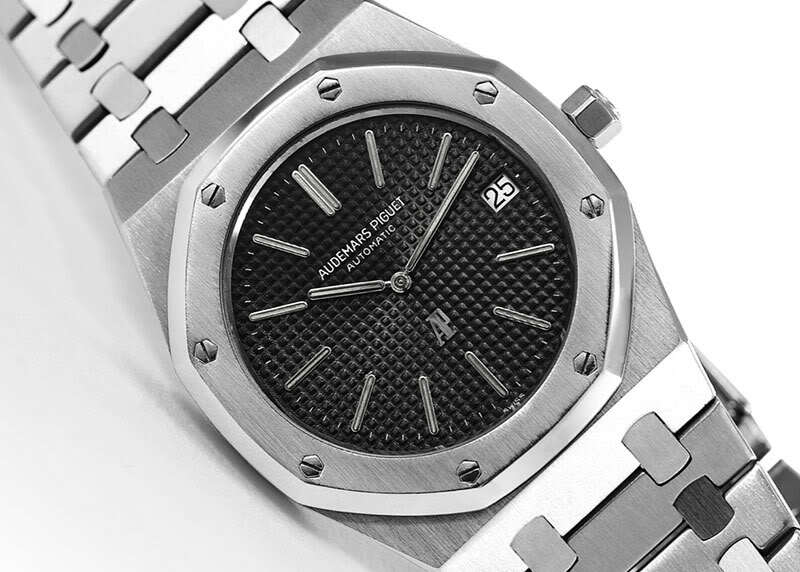 These vintage Royal Oak Jumbo’s are very difficult to find and if you find one, be prepared to pay a serious price. I prefer this vintage Jumbo (ref 5402) over the newer Jumbo (ref 15202), because of the finer ‘clous-de-paris’ dial. 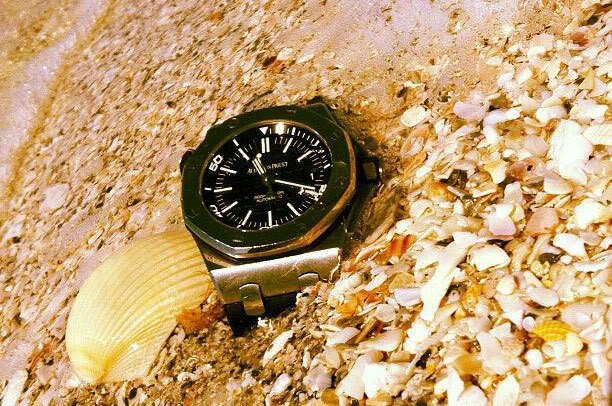 The photo above shows the Audemars Piguet Royal Oak 5402 A-Serie from a private collector (who wishes to remain anonymous). While the ‘normal’ Royal Oak Jumbo (ref 15202) is already difficult to aquire, Audemars Piguet will bring a limited edition of 10 pieces of the Royal Oak Jumbo to celebrate ten years of the Purists Pro watch forum. Yes indeed, only ten pieces indeed, so the demand will be huge. Even with a price of CHF 49,500 (ex VAT) which is kind of steep. But for this price Audemars Piguet does offer a very special PuristS edition. First of all the bezel and bracelet links will be made of tantalum. 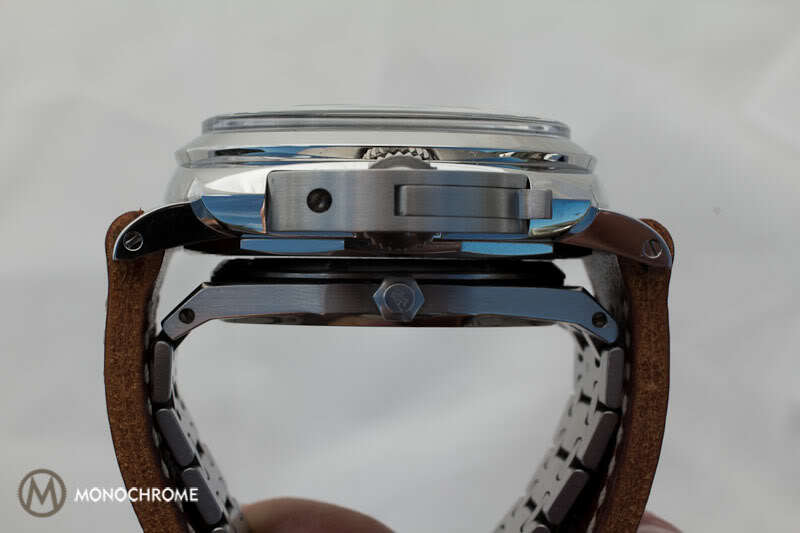 This offers a nice contrast with the stainless steel case and bracelet. The movement of the Royal Oak Jumbo is the legendary caliber 2120, that will also appear in this limited edition. For the limited edition the movement will be partially skeletonized and the base plate will get a dark anthracite rodium finished for extra contrast. But, the real trait for collectors is the special “P10” rotor! Look at the Audemars Piguet forum of PuristS Pro for more details and how to order on of only 10 pieces. According to the PuristS it has a skelletonized caliber 2120, however I’m no expert on these movements. 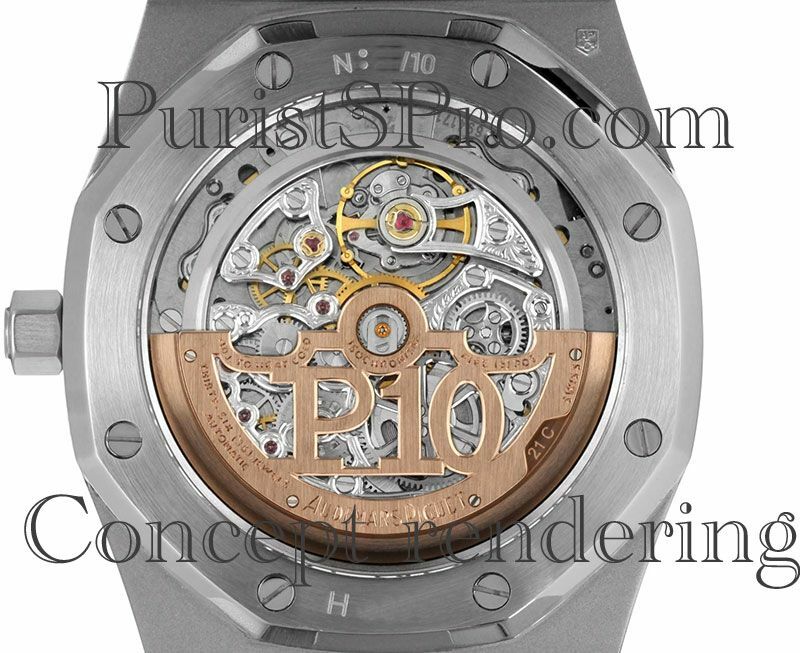 Hmm, it might be in this one, but your sentence “The movement of the Royal Oak Jumbo is the legendary caliber 2120” makes me think it is in every Jumbo. I just looked it up, the Jumbo has the 2121 for sure.